Here's a modest and/or rough sketch on the Spin fly rig that is very popular here in Sunny Singapore. Spin fly rigs came about when fishermen realised that species like Peacock Bass respond viciously to flys but to accommodate the modern fisherman and his conventional spinning rod, the fly was put on a rig that the angler is able to cast easily with his spinning setup. Clousers are usually used with the rig. There are many versions of this rig but this is what i usually use. I usually clip the split shots near the loop. 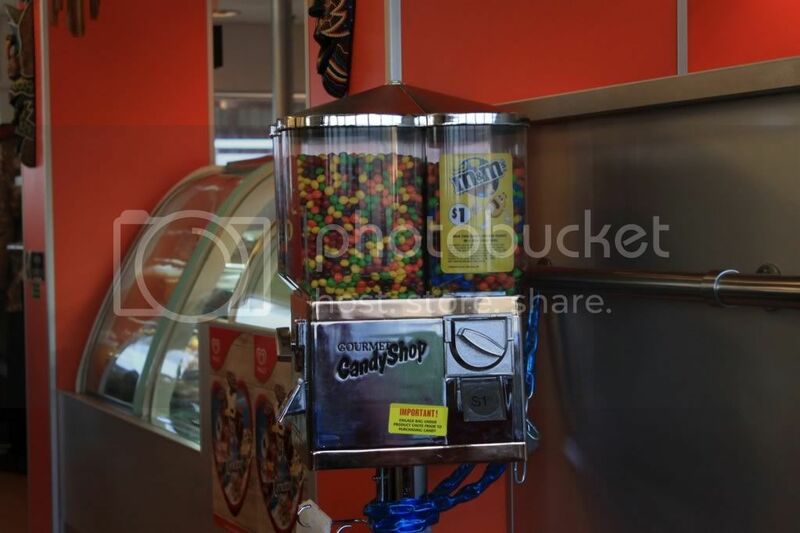 If i have time i would close the loop with a ball bearing swivel. 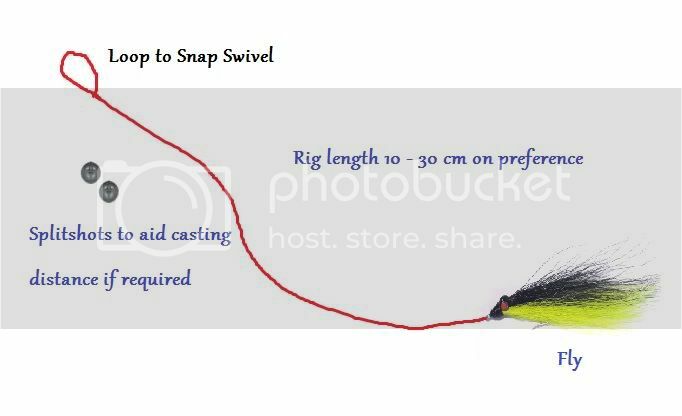 You can use a snap at the other end if you like to constantly change flies. Spin fly rigs are extremely useful because of the distance you can achieve(if using split shots). 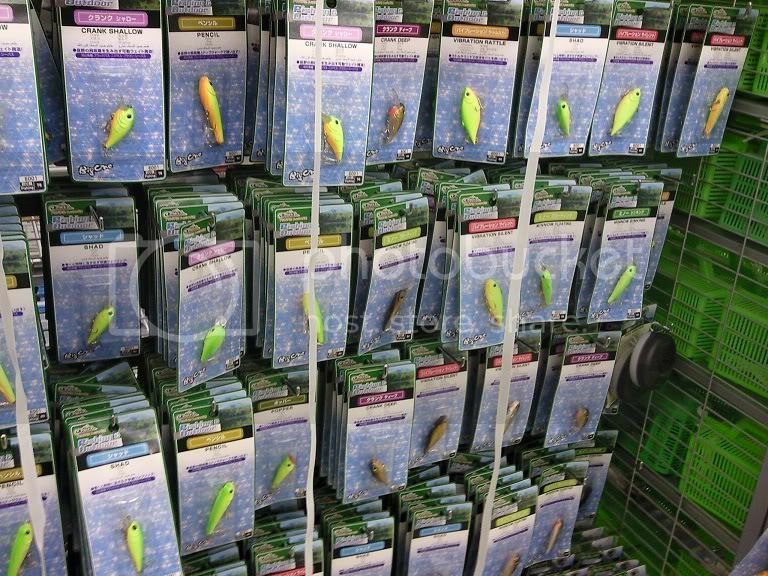 Flys are also relatively cheaper than lures and tempt a large array of species. Bass usually respond well to flys even if the usual lures aren't working. There can be a variety of ways to work the fly which include fast twitching with pause, darting fast twitch on the surface and even long whipping. Some folks just reel the fly in! It usually the lure fisherman's last resort when the fish simply aren't biting! Hurry up before its all wiped out! There will be a Daiso opening in Bukit Panjang Plaza soon. Great news! Anyhows, i went fishin with Momok today. We managed to get some Peacock Bass albeit the very murky water due to the recent rainfall. I'll be posting up and article on spin fly next! I came across the White Rabbit series of rubber lures quite some time ago when i just started luring. Back then, the lure landed me one of my first few Belidas, Peacock Bass and even some Grouper. I visited Alan's Shop CHOP HOCK HENG last week and out of some usual itchiness i got some of the rubbers. I got the interesting gold coloured ones which Alan said doesn't work. Let's see whether what he says is true. Anyway, the lures main action is the wriggly tail. You can work it slow or fast or simply let it stay at the bottom when there is some bottom current and the tail will wriggle along. For me, i like to work it fast cutting through the water. It's great for getting distance on your casting and highly workable(remove the trebles) along snags or rocks. Best of all... It comes cheap! Visit the below link for more information on orders/charges! Where On Earth Is Tanjung Pinang?!?! Many of my foreign readers may be wondering where on earth is Tanjung Pinang. I'm gonna explain in modest details here so at least some of us here can come to understand a popular fishing grounds for us Singapore Fishos! Tanjung Pinang is the capital and also the largest town of belonging to the Indonesian Provinces of The Riau Islands. It is located on Bintan Island and has ferry connections to Singapore. 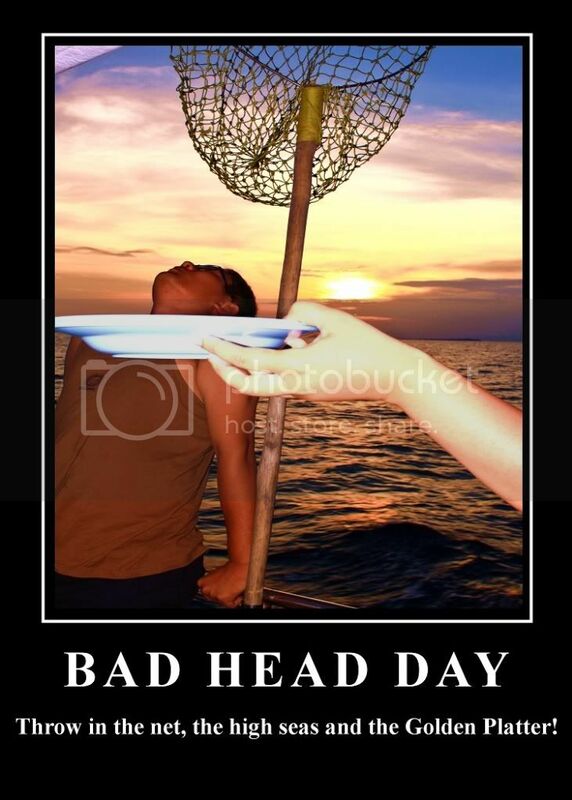 Therefore, many Singaporeans flock there to do their not so bad yet not so good fishing. The fishing boats usually fish off the numerous islands in the Riau Archipelago. Popular ones are Merapas Island and Pengibu because of their distance and catch rate. The fishing at these islands used to be top notch but are drastically declining due to commercial trawlers and destruction of ecosystem. As a result, fishing boats and anglers are moving further and further to more open waters. The fishing season has just opened recently and recent catches seem to suggest that the fishing is indeed recovering but there are fears these are just what's being seen on the surface! Looks like the recent rainy weather is fizzing out! When am i going fishing again?!?! Our fishing grounds at Singapore have taken such a beating that i wonder whether we would even recover. 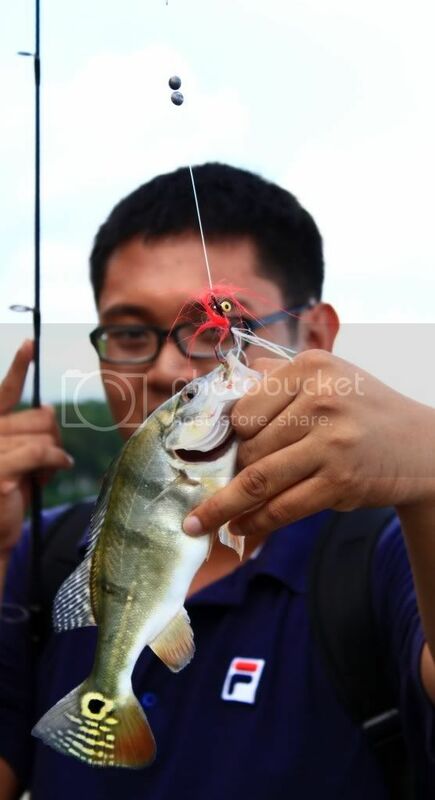 I was with Momok at Lower Seletar Reservoir(LSR) legal area fishing for the Peacock Bass that used to be so common last time. It was so easy to get a few fish last time that i remembered having a fun time testing out new methods and lures to get those fish. They were good sized with at least 1 lbs to 5 lbs even. I had so much fun casting out light spoons and spinners. It was very entertaining seeing the fish zip around and attack my spoons... more so when they took the spoon on the drop. The conclusion? Well, there are still fish alright but inconsiderate angling are hurting even the resilient Peacocks... When you see those foreign baiters(to put it nicely) move out onto the illegal areas and do a little bit of bashing, you get a pretty good idea of the fish that are left in the legal area! A little optimism though was that i saw a young angler release a young Toman back to her mate. Good on him! Tested a fly of Momok's... I didn't hesitate much when choosing from his pool of his flies which he had the recent craze to tie. 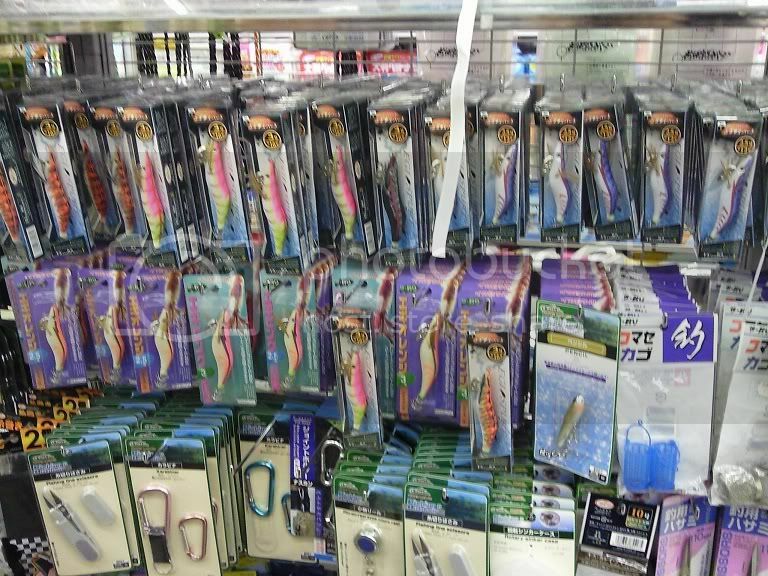 I might get myself a vise too... hmmm... hehe... what mean Gamakatsu hooks he used for the fly. Look at the tear on the mouth! Part II: Your Group Luck IS NOT Sufficient! The crew was wide awake after dinner although the ride to the spot was quite fairly put - epic. Tap tap tap... tap tap... *Nibble Nibble*. Arrggh... Come on... take it! Take the bait!!! I went for broke out of desperation and stroked upward. NOTHING! And that was it. Were the fish really there? Were they picky? Were they doubting our cut bait? We wouldn't find out as we were whisked to the next spot soon. And then, the real fun begun. The first to experience the seng-zation was Sim! Salmon Catfish or more commonly known as Kim Chu Seng/Jahan took our baits readily and all hell broke loose. I was using an Alan Louis 15-60lbs and a Accuplate while Momok was on an Extreme Excalibur paired with a Daiwa Tournament Ishidai. Majority of the photos by Momok... Nice shots... can even capture the oil on my face. After a night of uneasiness and unrest on how this trip will turn up, i met up with the crew at long last. We were generally early again and we were to take a new ferry to Tanjung Pinang this time. We got the tickets and proceeded to our ferry "Wan Seri Beni". 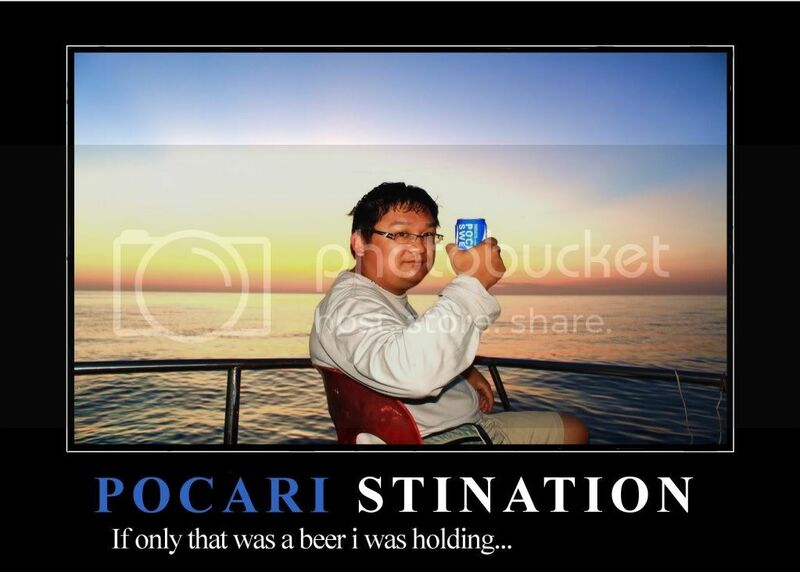 If this name sounds familiar to you, then make no mistake... we are taking a Bintan Resort Ferry! Now, the advantages of taking this ferry are simple. No icebox restrictions(although there were some weight limits haha at the end) and numerous ferry timings which included the 0810hrs ferry we were taking and the 1635 one we were taking back.